Aha! 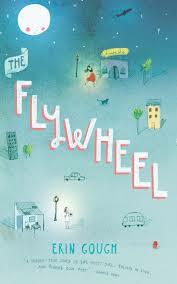 If that name sounds familiar it’s possibly because you’ve read The Flywheel, OR you were just next door reading about me reading The Flywheel – which might be an Escher brain stretch too far for a Friday. How’s this set-up differed over the time you’ve been writing? Like, say, back in the day, did your “office” consist of a soggy drink coaster and broken pencil stub, or some such? My writing space has been getting smaller over time. When I started writing I was living rent free with my parents and had a lovely big bedroom with a huge desk all to myself. Next came a decade of share-housing while I was at uni and working minimum wage jobs. The writing spaces I had then were a bit smaller than at my parents’ but not by much – it’s amazing how much space you can rent for pittance if you’re willing to live in an asbestos-ridden Federation whose foundations are slowly descending into a sinkhole. When my partner and I finally moved out by ourselves we rented a one-and-a-half bedroom workers’ cottage and my desk was in the ‘half’ – a glorified hallway that you had to pass through on your way to the toilet. Me in the ‘half’ room laughing at yet another toilet-related interruption. Max the cat is deeply unimpressed. And yet things descended further. When we moved into our current place there was an hour of panic because the movers couldn’t work out how to get my desk through the front door – it was too narrow. We were seriously contemplating sawing a few inches off each of the legs when they cracked the puzzle in a Go-Go-Gadget contortionist manouevre that still impresses me to think about. My writing space continues to shrink. Earlier this year a Very Small Person moved in with us, accompanied by a Huge Amount of Stuff, which means that in the next six months I’m going to have to sell my trusty desk and get a smaller one. Just don’t ask me how I’m going to get it out the bloody door! The good news is that even though my writing space keeps shrinking I’m still writing as much as I was when I started. If my laptop and I were relegated to the roof gutter (not beyond the realm of possibility) I reckon I’d still keep at it. Are you someone who has to be in the same bat place at the same bat time, or do you prefer to free range? While my preference is to bat in the same place at the same time, I’ve learnt to be pragmatic, as anyone must if they live with other people/have a day job/have friends who like to see them occasionally. As long as it’s quiet I’ll give any old space a crack. Cafes are out because there is too much noise, but I’m not beyond hitting up friends who work different hours to me for the opportunity to keep their empty houses and lonely pets company while they’re at work. Any talismans around? Feel like explaining them to us? 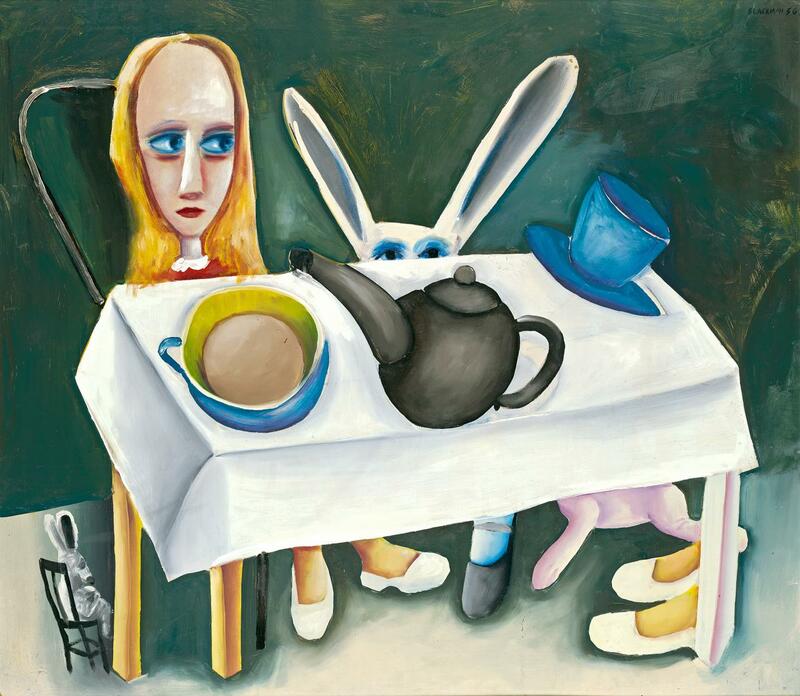 For a number of years now I’ve had a Charles Blackman print from his Alice in Wonderland series on the wall of my study. Lewis Carroll’s book was a huge part of my childhood – I had it on cassette before I could read and can still quote from it by heart. Having the print there inspires me to trust my imagination and reminds me of the importance of being playful – there is some delightfully whacky stuff in that book. It’s also just a beautiful picture to look at. Any books that you keep there that have special significance to you as a reader, writer, or person? There is always a tower of books on my desk threatening to topple and knock me out mid-sentence. Ostensibly they all have proper places on my bookshelves but no sooner have I put them away than another pile begins to grow. For me, reading is an integral part of the writing process. I will dip into a book to get a sense of rhythm, or to nut out a problem, or to study someone else’s structure or prose. It’s never the same pile but some authors are definitely on high rotation: Ali Smith, Robin Klein, Annie Proulx, Philip Pullman and John Marsden are all there at the moment. The only books that never move from my desk are: a book on the inner west suburb of Leichhardt; one on Brett Whitely; one about the Vietnamese cyclo; and one called ‘Australia Through Time’ – simply because, when stacked up, they happen to be the perfect height for my laptop. What’s the policy on interruptions? Open door policy? Open door policy with cranky look on face? Door locked tight and hands on ears, shouting: ‘Can’t hear you, lah, lah, lah!’? ‘Open door policy with cranky look on face’ probably best describes it. I like a degree of quiet as I’ve mentioned, and I guard my writing time pretty fiercely – otherwise I’d never get anything done. The animals and humans that I live with are extremely respectful and know not to interrupt, but sometimes I’ll get a text or phone call from someone who thinks ‘writing day’ means ‘day off’. That’s when the cranky face emerges. Social media – do you block it while you’re working, or let it come along for the ride? I have always factored a little bit of procrastination time into my writing time. Back in the day I used to fill it with Solitaire or Hearts. After that it was Tetris, and then ICQ. These days when I’m on a break I’ll check Twitter and Facebook. 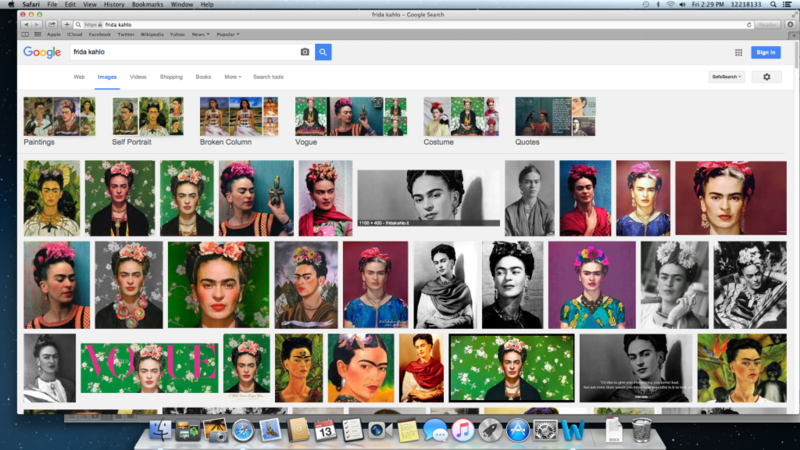 Turning off the internet would never work for me because I am constantly googling things (eg the names of Japanese cities, other words for ‘preppy’, pictures of Frida Kahlo, the latest James Bond trailer etc – all for research, naturally). I do try to control my social media use, though. While writing I generally won’t spend more than a few minutes on social media at any one time – unless of course someone has sent me a message, or posted something awesome that I need to re-post, or I need to check how many people liked something I posted, or I have to wish a friend a happy birthday. See how disciplined I am? 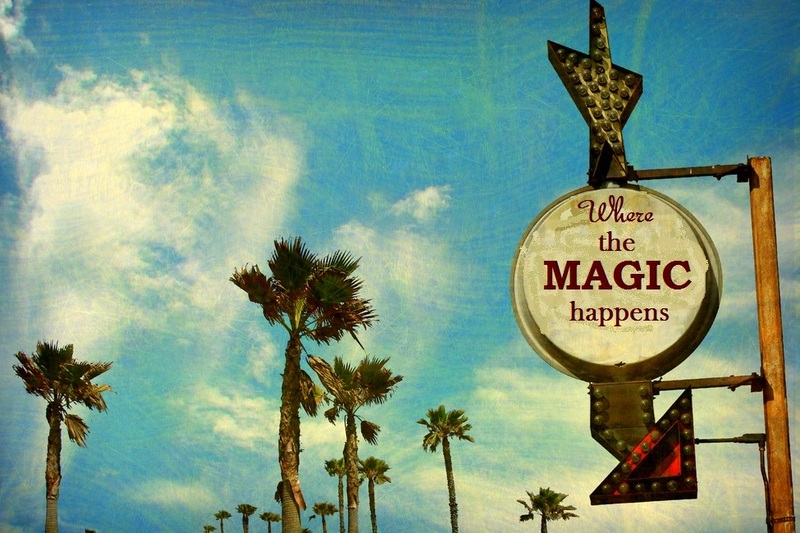 What magic is happening in there right now? Ever use longhand? Or is it all clickety-clackety? Longhand? I get RSI just thinking about it! Actually, I had a horrible six weeks once while living in Vancouver when I was forced to use longhand because my laptop conked out. The experience taught me a lot about how I write. For me the problem with longhand is that it doesn’t come with a cut and paste function. When I write I put down a couple of sentences and then immediately want to rework them. This means replacing words and shifting them about as I go. By the end of week one without my laptop I had a barely legible mess only two pages long. I gave up. I have since grown comfortable with the fact that I am completely reliant on word processors. What you be sticking up on those walls? Whatever takes my fancy, really. At the moment it’s mainly postcards and photographs from my travels. 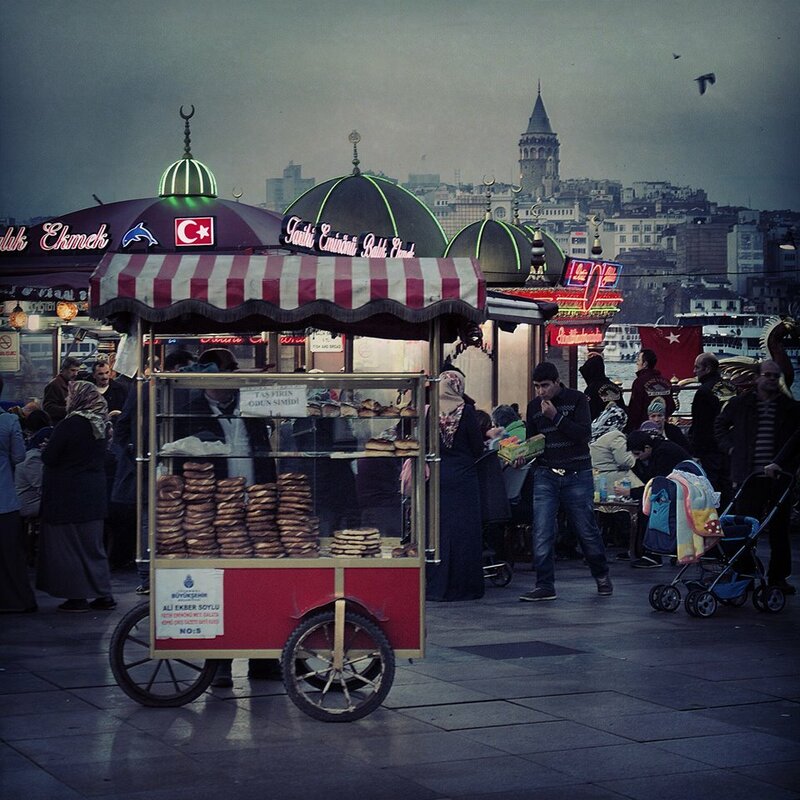 I had the good fortune of being invited to a writer’s residency in Istanbul in November last year, so I have a couple of pictures up that I took on that trip. I have a ‘to-do’ list to keep me motivated. 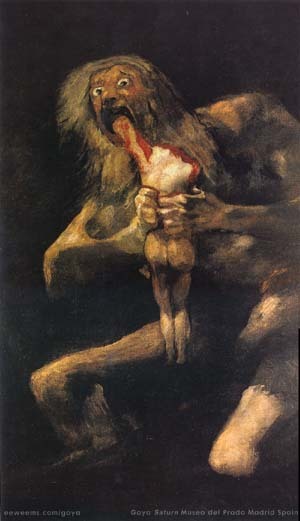 I have a picture of Goya’s Saturn Devouring His Son. It’s completely horrific but relevant to one of my writing projects that explores similar themes (parents destroying children and vice versa). 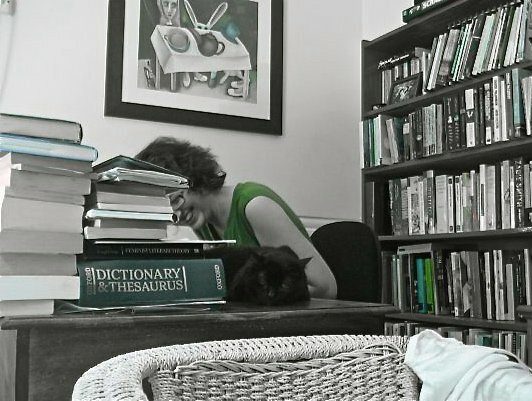 I have a photo of Max the cat – pictured with me in my ‘half’ room above – who is no longer with us in person but still in spirit. When I get my smaller desk I’ll rearrange my sticky-up things again – it will be an opportunity to find more great pictures to inspire me.